CHOICE OF ANNUITY, MORTGAGE PROTECTION, FINAL EXPENSE AND/OR MEDICARE SUPPLEMENT LEADS. PLUS PROVIDE ACCESS TO OUR EXCLUSIVE PROGRAMS, INCENTIVES, ADVANCED TRAINING, SUPPORT AND MORE. WE CAN ALSO HELP AGENTS BUILD A LOCAL AGENCY OR NATIONWIDE IMO! Tired of personal production? Add a second income earning overrides. Be in business for yourself but not by yourself. THE WIZARD EXPLAINS OUR MAGICAL LEADS! "National Annuity & Life Sales" provides you with a specific plan and specific systems to grow your insurance business including specialized training, advanced selling systems, complete back office support, lead generation programs and superior compensation. Our lead generation programs handle all of the marketing aspects of your business so you can concentrate on selling...not prospecting. We will also assist helping you close sales. "National Annuity & Life Sales" is owned and operated by current and former successful producers so we know what it takes to get the job done because we are out there in the field just like you. For over 20 years, we have helped thousands of financial professionals write more business and close more sales through our programs. PLEASE read our program description at the links above so you can see the tremendous opportunity we provide and how it will improve your sales, income, career and life. Let us turn you into a true financial professional and put you in front of the right clientele. This way you can STOP searching for those magical leads to keep you in business. LET "NALS" HELP YOU FIND AND CLOSE YOUR NEXT CASE WITHIN A WEEK THROUGH OUR "AGENT/AGENCY" OPPORTUNITY! - "LEADRESPONSE" LEADS - Generated from prospects requesting information (YOUR CHOICE OF ANNUITY, MORTGAGE PROTECTION, FINAL EXPENSE OR MEDICARE SUPPLEMENT.) - Marketing material and scripts provided to turn these leads into appointments and sales. - A back office sales team for case design, product support and case follow up. - A back office website for product searches, forms, marketing material and more. - On-Line training, mentoring, coaching and weekly webinars. - FIRST APP PROMOTIONS. Receive more lead credits for your first case. - Receive additional lead credits for your paid production to use for more leads. - Bonus Bucks and/or Marketing Reimbursement Money for your paid production. - Street or above street contracting with over 35 Insurance Carriers. - Seminar program for Senior Market sales. We do it for you. - Proven Direct Mail Leads, Voicemail Leads and Telemarketing Leads. - Pre-Set Appointment Program with high net worth clients for annuity sales. - 401K and PENSION Lead program and specialized training. - Prospects Call You/Financial Reports lead system. - 4-Step Survey Marketing lead system. - Meet with Business Owners/Protection Strategy Plan lead system. - You're Interested Letter lead system. - Personalized Agent Websites to Sell on-line and generate leads. - Many other Lead Resources also available. - You can recruit agents locally or nationwide. 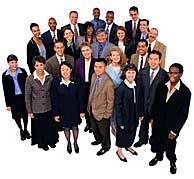 - We provide a list of agents to recruit on a monthly basis. - We process all the contracting paperwork for your agents. - We can contact your agents and help them get into production. - We provide access to our leads and lead programs to your agents. Each of the following programs and websites below offer lead programs, specialized training, exclusive marketing concepts, sales material, weekly webinars and more. These programs are designed to help the experienced agent make more sales or the new agent looking to learn a new market. FOR MEDICARE SUP AGENTS - This unique program concentrates on everything related to selling Med supp insurance including lead programs, training, support, marketing material, cross selling opportunities and so much more. Live weekly webinars are available every week covering a variety of topics to help you succeed in the Med Sup market. The program will also show you how you can build a down line of agents. FOR FINAL EXPENSE AGENTS - This unique program concentrates on everything related to selling final expense insurance including lead programs, training, support, marketing material, cross selling opportunities and so much more. Live weekly webinars are available every week covering a variety of topics to help you succeed in the final expense market. The program will also show you how you can build a down line of agents. FOR TERM LIFE AGENTS - This unique program concentrates on everything related to selling term insurance in person or over the phone including lead programs, training, support, marketing material, cross selling opportunities and so much more. Live weekly webinars are available every week covering a variety of topics to help you succeed in the term life market. The program will also show you how you can build a down line of agents. Click Here for more information on our "AGENT/AGENCY" OPPORTUNITY. *Receive access to our "AGENT/AGENCY" OPPORTUNITY by contracting with at least 1 of our PRIMARY carriers. (See "CARRIERS" above). Initial lead promotion is available to NEW NALS contracted agents ONLY.